I’m sorry, but I couldn’t resist. I adore the salted caramel flavor. So I made this parfait. And then I died a little. Seriously, this is so good that it might have killed a few taste buds. This is a hybrid recipe cross my recent Salted Caramel Mocha Fudge and Raspberry Brownie Parfaits. 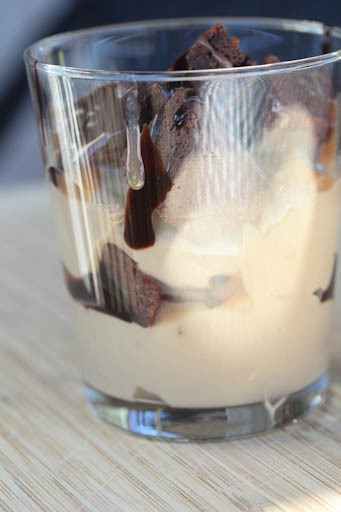 If those two were to get married, this Salted Caramel Brownie Parfait would be their firstborn child. Go ahead. Lick your screen…no one is looking. Prepare the pudding with the milk, as directed on the box. 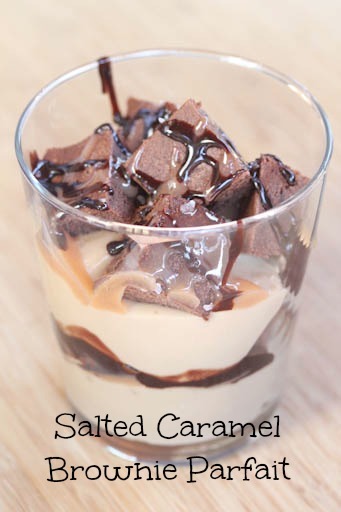 In small glasses or bowls, layer the pudding, brownie bites, drizzles of chocolate and caramel syrup and a sprinkling of sea salt. Repeat another layer or two. 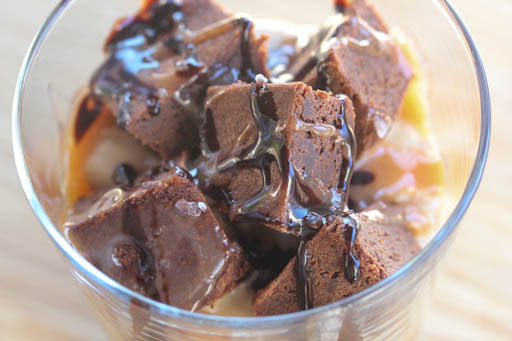 Serve Salted Caramel Brownie Parfaits.